The Redmi Note 5 Pro packs powerful innards, but with its many hits, there are also a few misses. 2017 was a great year for Xiaomi and the company crossed RMB 100 billion in revenue. In India, the company’s biggest market outside of China, Xiaomi became the biggest smartphone vendor towards the end of the year. Much of that success in India was piggybacking on the Redmi Note 4, the bestselling smartphone in the country last year. In February this year, almost a year after the Redmi Note 4 was launched in India, the company launched the Redmi Note 5 and Redmi Note 5 Pro. While the former is only a progressive, and a tad underwhelming, update to the Redmi Note 4, the latter is a more interesting device aimed at power users on a budget. Xiaomi has carved out a comfortable space for itself in the crowded affordable smartphone market in India – although some accuse it of playing too safe with an ‘if it ain’t broke, don’t fix it’ approach. But the Redmi Note 5 Pro is a package where the whole is greater than the sum of its parts. Does it manage to deliver something special? Let’s find out in our detailed Redmi Note 5 Pro review. For this review, I took the Indian variant of the Redmi Note 5 Pro for a spin… the one with 4 GB of RAM and 64 GB of internal storage. My colleague, Adam Sinicki, used the same unit to shoot the video review. Along with the Note 5, the Note 5 Pro is the first smartphone from Xiaomi in its affordable Redmi series to feature an 18:9 display. There’s a decent-sized bezel around the display, but the curved corners make up for the larger size. It fits well in the palm, but at 181 grams, it is not very light and if you’re coming from a smaller phone it might take a few days to get used to it. From the front, the Redmi Note 5 Pro looks just like the Redmi Note 5, but at the back, there’s a vertical dual-camera setup with a noticeable camera bump. The protruding camera is less of a visual issue than a physical annoyance. For one, the phone rests at an awkward angle when placed on a flat surface and second, one needs to be careful while placing the phone on a rough surface so as to not scratch the camera lens. Granted, it’s not a problem unique to this device, but we don’t like it on any other smartphones either. The design language of the Redmi series has been pretty consistent for a while. Subsequently, the Redmi Note 5 Pro doesn’t stand out. It looks fine, but it is a little uninspired, and the most we can say for it is that it sports a functional design. Competitors like Honor have produced much nicer-looking devices in the budget segment, so it’s far from impossible at this price point. Xiaomi has even managed it in the past with the slick-looking Mi A1, so it’s just a shame the Redmi line hasn’t followed suit yet. That aside, the Redmi Note 5 Pro looks good and has a solid build quality. One of the highlights of the Redmi Note 5 Pro is its display. Xiaomi adopts the latest trend of displays with 18:9 aspect ratio – a trend that went mainstream in 2017 and has been steadily trickling down to the budget segment as well. The Redmi Note 5 Pro sports a 5.99-inch Full HD+ IPS display – the 2160 x 1080 resolution translating to a pixel density of 403ppi. The display is bright, and the colors are quite vivid with deep contrasts. The text and images are sharp and the color accuracy is first-rate. The display is a tad reflective, although sunlight legibility is still pretty good. There’s also Gorilla Glass scratch protection, although the generation has not been disclosed. Overall, it’s an excellent display for a smartphone at this price and one of the best out there. The Redmi Note 5 Pro is the first smartphone by the company powered by Qualcomm’s latest Snapdragon 636 processor which was announced in October last year – with a new GPU that promises better gaming performance than the Adreno 508 on the Snapdragon 630 SoC. In real-world usage, the Redmi Note 5 powers through anything that is thrown at it. Multi-tasking on the Redmi Note 5 Pro is a breeze, and it can handle graphics-intensive games without breaking a sweat. There’s no performance lag at all, and using the Redmi Note 5 (3 GB variant) and Redmi Note 5 Pro (4 GB variant) side-by-side for a week revealed noticeably better performance from the latter. The Redmi Note 5 Pro comes in two memory variants – 4 GB or 6 GB RAM – although both have the same 64 GB of internal storage, expandable up to 128 GB with a microSD card. I used the 4 GB variant for this review, so I can’t say how much of a difference the 6 GB RAM variant would offer in day-to-day usage. A well-optimized software layer should provide a seamless Android experience with 4 GB RAM, although there will always be a reason to want more RAM depending on how you use your smartphone. The Redmi Note 5 Pro packs a 4,000mAh non-removable battery, allowing it to deliver one-and-a-half-day battery life easily. With light usage, one can even squeeze in two days of battery life. Of course, your mileage may vary depending on how many photos and videos you take, how much you game and stream, and how often you’re connected to cellular data instead of Wi-Fi. With the bundled charger, it takes over two and a half hours to charge the phone from zero to 100 percent. It hurts that there is no support for quick charging with the bundled charger – even more important in smartphones with large battery capacity. However, the phone does support it and when you connect it to a third-party Qualcomm-certified quick charger, the phone indicates that it is charging quickly. The Redmi Note 5 Pro features a hybrid SIM tray, so you can either use two SIMs or one Nano-SIM and one microSD card. You might want to keep this in consideration if 64 GB storage is not enough for you and if you want to use two SIM cards. It’s disappointing to find a micro-USB port instead of a USB Type-C port in a smartphone released in 2018, and one with a ‘Pro’ moniker at that. But at least it’ll work with the old chargers you have lying around the house. 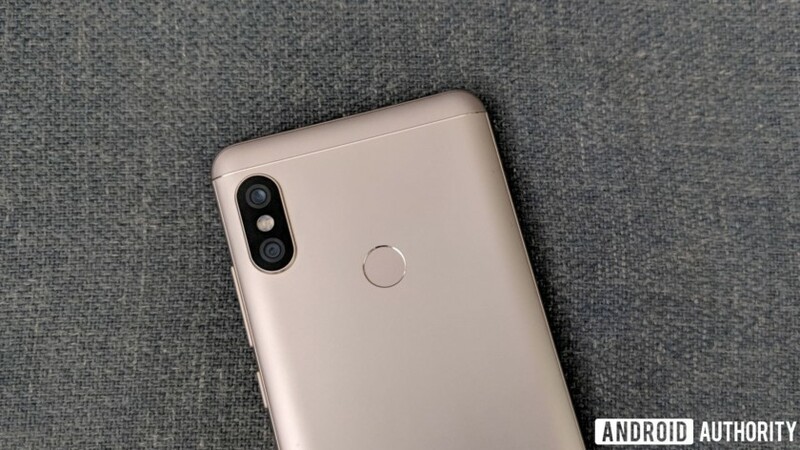 One of the highlights of the Redmi Note 5 Pro is its camera – among the first Redmi devices to sport a dual camera setup at the back (the first was the Redmi Pro), a trend that has trickled down the value chain of smartphones last year. The Redmi Note 5, and the Redmi Note 4 last year were marred by average cameras, and the Redmi Note 5 Pro wants to be the, well, Pro in that department. There’s a combination of 12 MP sensor with f/2.2 aperture and a 5 MP sensor with f/2.0 aperture – the latter is used for the depth-of-field effect while shooting portraits. The rear camera on the Redmi Note 5 Pro is pretty good, especially in good lighting conditions. The color reproduction is quite good at most times and there’s a good level of detail. However, it’s not very consistent. Some shots come out great, but there are few where the white balance is off or sharpness is missing. In low light, there’s not much degradation in the image quality and there’s minimal noise, although the camera lag creeps in expectedly. Overall, the rear camera is pretty good for a smartphone in this price segment but it’s not as comparable to flagship smartphones as Xiaomi would want us to believe. The Portrait Mode on the Redmi Note 5 Pro is a winner though. The depth effect comes out great in most cases and the sharpness is just right. The edge detection isn’t always accurate, but it is precise more often than not. The marquee feature on the Redmi Note 5 Pro is its 20 MP front camera. You can capture some brilliant selfies with the right depth effect and the beautification (via the latest Beautify 4.0 technology) is not over the top. There’s also a diffused selfie flash that ensures that the selfies taken in low-light conditions on last night’s pub crawl look well lit. The front camera on the Redmi Note 5 Pro is impressive and can knock out most higher-priced smartphones when it comes to selfies. The Redmi Note 5 Pro runs the latest iteration of the company’s proprietary UI layer, MIUI 9. But MIUI 9 is based on Android 7.1.2 Nougat, and it is disappointing to have a smartphone launched in 2018 with neither Android Oreo out of the box nor a definite timeline for the upgrade. That’s not very ‘Pro’, Xiaomi! That said, MIUI is one of the more popular Android customizations, and although it’s a tad bloated, it packs in a lot of features and has its share of fans. With MIUI 9, the Android skin has gotten better – especially in terms of performance and app startup times. With the hardware it packs, Redmi Note 5 Pro offers a fluid software experience with no performance issues. The Redmi Note 5 Pro has a few preloaded apps – Amazon Shopping, WPS Office, and Hungama. While these can be uninstalled, there’s also Xiaomi’s own Music, Gallery, and Browser apps that duplicate similar apps from Google. There’s also the useful Mi Drop app that lets you send files over an ad-hoc Wi-Fi network provided the receiver also has the app installed. The overall software experience on the Redmi Note 5 Pro is great, and there are a bunch of useful features that you’d only appreciate once you start using it. But all that is let down by the presence of Android Nougat, with no guarantees made on the Oreo update. After the massive success of the Redmi Note 4, Xiaomi played safe with the Redmi Note 5 to sustain momentum without rocking the boat. 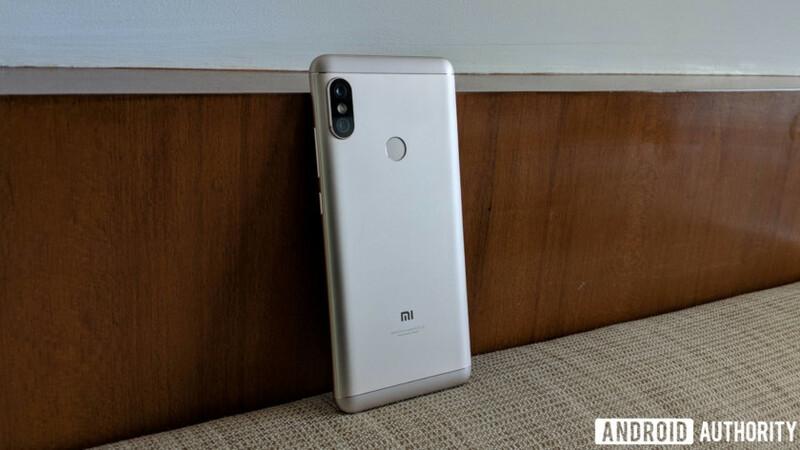 But the real upgrade to the last year’s device is Redmi Note 5 Pro… one that offers plenty of reasons to spend that extra bit of money over the Redmi Note 5. If the Pro upgrades here aren’t enough to convince you they’re worth paying extra for, keep the Remi Note 5 with 3 GB of RAM in mind for ₹9,999 (~$156) and the 4 GB version for ₹11,999 (~$187). Despite the positive parts of the Redmi Note 5 Pro’s rear camera, some others still need some work. I’m hoping upcoming software updates will take care of my concerns, but there’s no guarantee of that. The lack of Android Oreo or a Type-C port are disappointing misses and the design is slightly dated (even though the build quality is top notch), yet at a price of ₹13,999 (~$215) in India, the 4 GB variant of the Redmi Note 5 Pro is a great value-for-money smartphone and a compelling device for power users. The 6 GB variant at ₹16,999 (~$261) though is likely a bit of overkill for most users though.